Established in Düsseldorf, Germany, Afew is one of the most notable sneaker stores in the world nowadays. During the last few years, the store delivered some amazing collabs, just like the Diadora ‘Highly Addictive’ or the most recent one with Saucony. At the same time, the store manages to offer a great product and an all strong concept behind its brick and mortar location. We invited Andreas Biergen, one of Afew’s founders, to share a few words with us. From basketball player to store owner, the store’s rise to success and his favorite sneakers are examples of what you may find right under. Hi Andy! 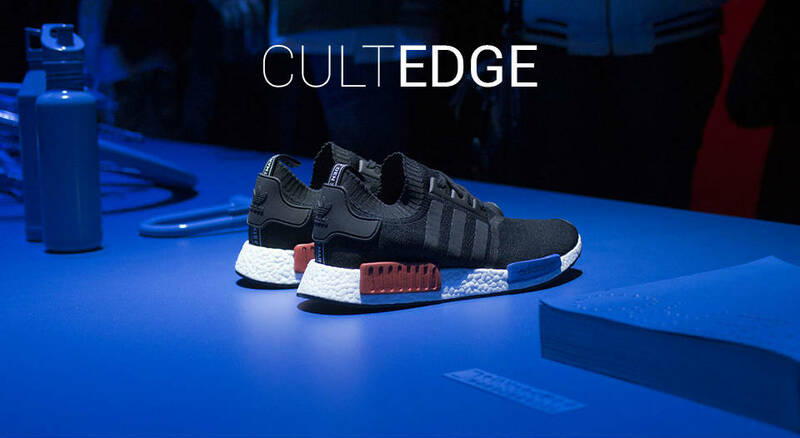 It is truly a pleasure to have you on Cult Edge. Please tell us a bit about yourself and about how you got in the sneaker world? Myself and my brother Marco were born in the early 80’s and both started playing Basketball at a young age. We both were crazy about Basketball and huge fans of NBA Players like John Starks, Charles Barkley, Kevin Johnson, Michael Jordan and many others. At that time we always tried to be like them and were fascinated by the shoes these guys were wearing. We could not afford to buy them at that time but we were dreaming of getting them sometime in the future. How did AFEW came to life? After we finished school we both were playing Basketball and working regular Jobs. At this time you could only buy a small selection of basketball shoes or sneakers here in Germany. Every brand only offered 2-3 models and you had to buy from the US to get a special pair. We had some friends in the US who would send some kicks, from time to time. Once, he sent us a pair to wear and also some more, so we sold them other Basketball players. This way we could finance our own kicks by selling shoes to others. We did that for over 4 Years besides our regular work and got quite “famous” for getting special & limited shoes. Because we both were unhappy in our regular jobs, we were thinking about quitting and opening a Sneaker Store. At that time there was only very few around and only a very small group of people were interested in sneakers. The first 3 years were very hard for us because it was always a struggle to pay all bills & the rent. But after 3 years we established our store and had a lot of loyal customers. AFEW has been collaborating with quite a few brands. Do you have a personal favorite? Why? Yes, all projects are unique and mean a lot to us, but our first project, the Koi, means the most to us. It took us 3 Years to convince Asics to do the collaboration with us. I think we asked and tried about 20 times and they always said no. Also, we had done the first pair of the Koi together with a shoemaker from Duesseldorf with our own hands. It took us over one month to build this one-of-one pair. A lot of stories and emotions are connected with that collaboration. I think you can Image how it felt when they finally told us that we can go ahead and do the collaboration. Is there any model you still haven’t worked on and would love to see a released collab? Why? Our dream is it to do an Air Jordan 3 and an Air Max 1. These were our favorite models when we were young and it would great if we could put our spin on these. I believe you were present during many shifts and changes, so how do you see the sneaker world these days? The hype over anything else? I think it’s getting bigger and faster every year. The amount of shoes and releases has grown crazy. I have mixed feelings about that and I am not sure if this will hold on like that forever. Is there a brand that you think that does not get enough recognition? Why is that? I personally like the “Made in Italy” shoes from Diadora a lot. The quality is really crazy and I wish people would look out more for these or other high-quality shoes instead of buying 10 Pairs of NMD. How do you see the sneaker scene in Germany? And can you compare it in any way with any other countries? I think it has grown crazy in the last couple of years. There are different kinds of “sneakerheads”, I think you have to decide between old and new generation. Both share the same passion but in a different kind of way. I think in other countries this is quite similar. A lot is going on on the Internet right now but for me, it’s always nice to meet in real life. This is a classic question, and always impossible to answer. That applies to me as well once I get asked, but can you tell us what is the top3 kicks that you own? Do you rock them? Stock them? Have doubles? And yes, of course, I rock them all! Is there a pair that you passed and now you regret not having? Yes, of course. Right now I am sad that I did not grab a Pair of the Diadora N9000 Purple Tape. For last but not least, how do you see the coming years regarding footwear and the billion-dollar-business around it? I think in the next years it will grow, however, I believe and hope that people will look more out for quality and sustainability. I hope we will see more made in Europe productions. Get to know more about this awesome shop right here.